Our photo book is now published. 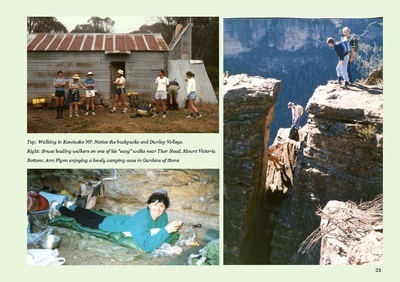 The 40 year anniversary book is 108 pages of photos and text. All in colour and A4 format. I have attached the cover of the book (above) and 4 pages from within the book (below) as a sample of the layout and detail that will be enclosed to entice you to purchase it. We are only printing 100 copies so first in gets them. The cost is $25. 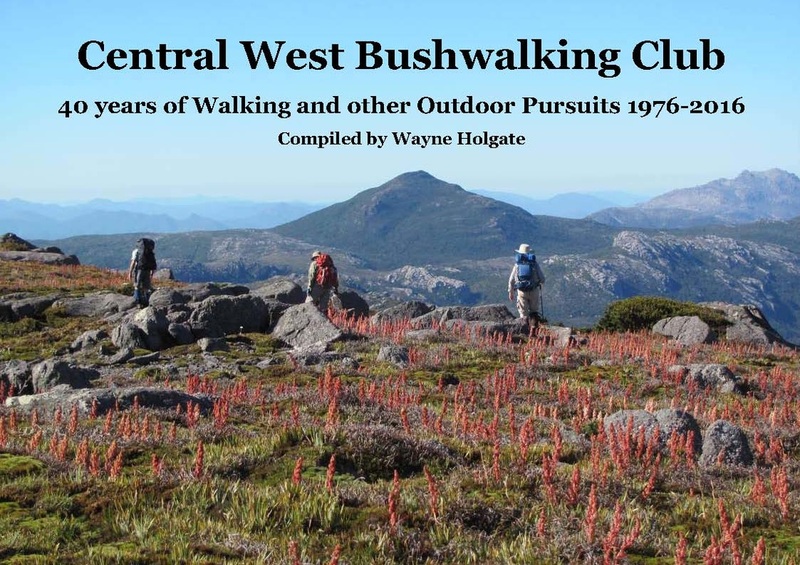 You can pick up a copy at the December meeting in Bathurst. The photos are truly wonderful in the book and you can admire at your leisure whilst finding out about the history of the club and some of its activities. How to order and pay. if doing a direct deposit to say you’ve paid. Pick up at Dec 2016 meeting in Bathurst or Christmas Party. There will be a pickup point in Orange. 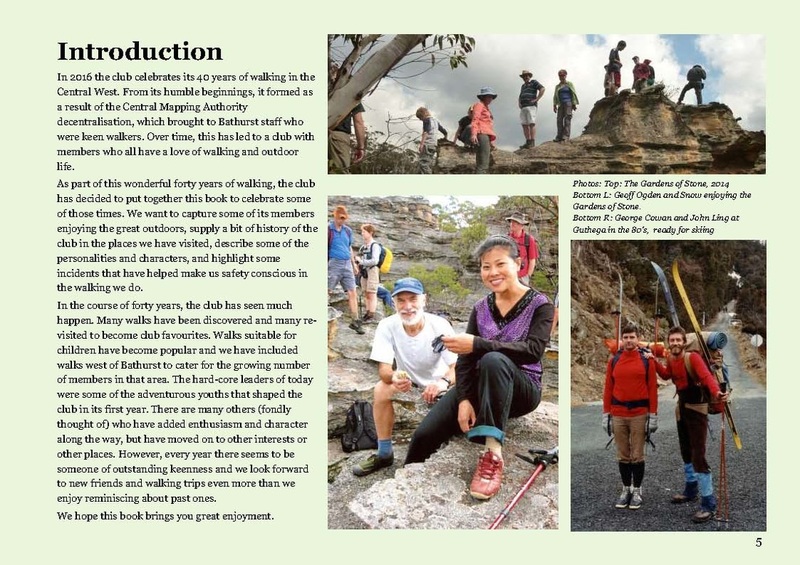 ​A sample of the book is shown below. 40th Anniversary Photobook. This will be a photobook containing a selection of photos from 1976 to 2016. Start digging out photos, slides or digital images to send to the club - deadline is 31st August 2016. Copies will be for sale in November. Celebration Dinner. Location will be in Bathurst on Sat 1st Oct 2016. Mark your diaries NOW - more details will follow closer to the event. Past and current members all welcome. Photo competition entries will be exhibited at the dinner where a people’s choice vote will be held. 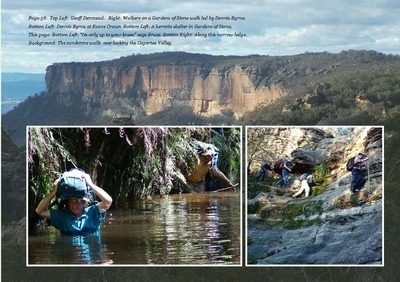 Photo Competition. Start sorting through your photos and print them as 8 x 10 inch prints with black cardboard backing. Categories are Landscape, People, Flora / Fauna and Humorous. There will be a Kathmandu voucher for first prize, the 1st and runner ups will be featured in the club’s calendar. More details are in the Photo Competition box below. CWBC 2017 Calendar. This calendar will be offered for sale towards the end of 2016. It will feature the photo competition winners and runners up, people’s choice photo winners and a selection of photos from the photobook. 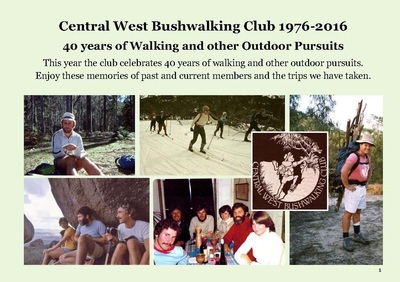 Bushwalks on the 40th Anniversary Long-weekend (1 - 3 Oct 2016). These will include easy walks in Orange, Turon River and Tarana. 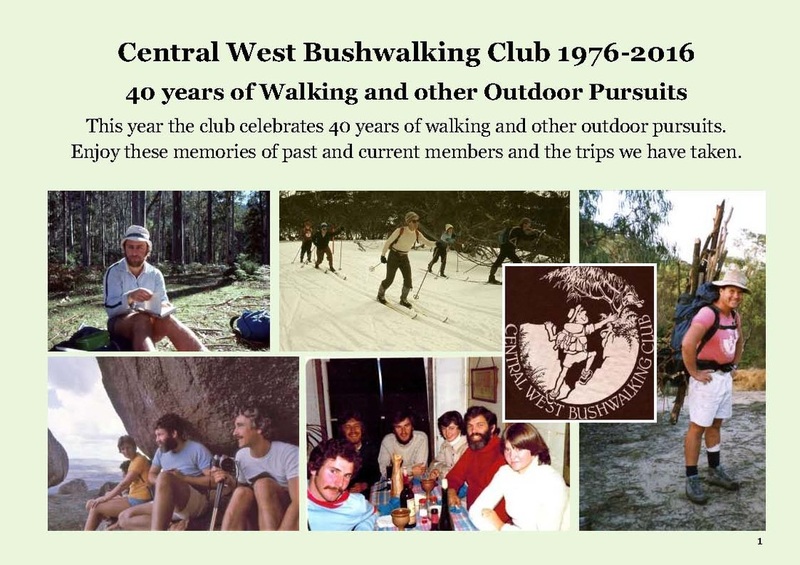 Visitors from out of the area - the CWBC has members who will be happy to arrange accommodation or places to camp to allow people from out of the area to enjoy some or all of the activities planned.